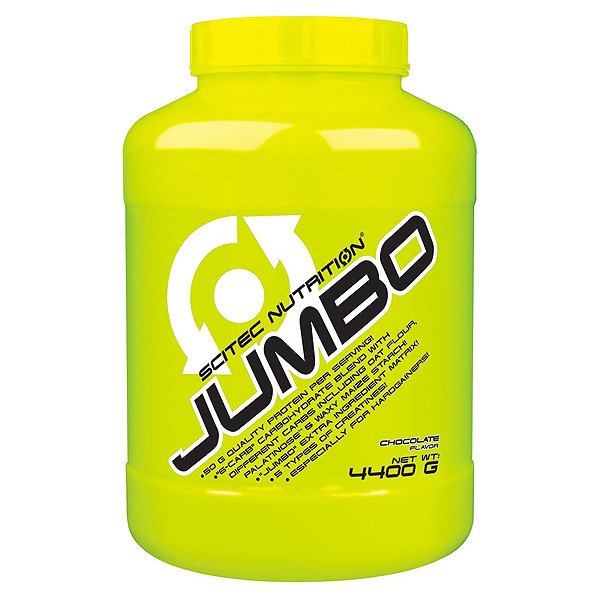 Scitec Nutrition JUMBO is designed with whey protein. 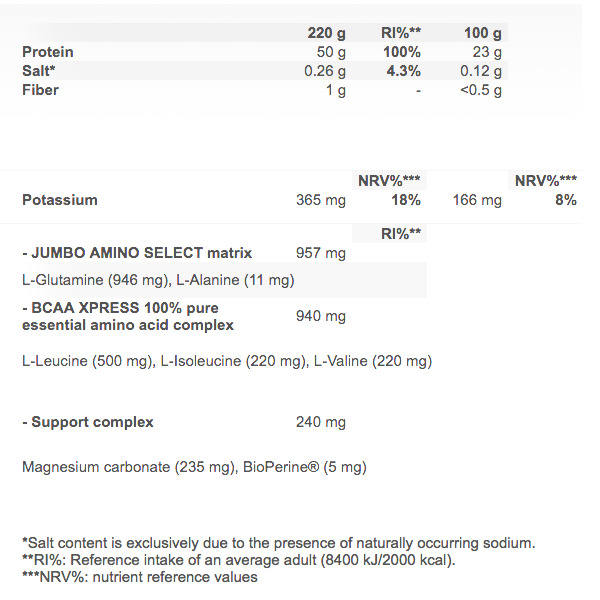 Dietary proteins are the source of nitrogen and indispensable amino acids, which the body requires for tissue growth and maintenance. 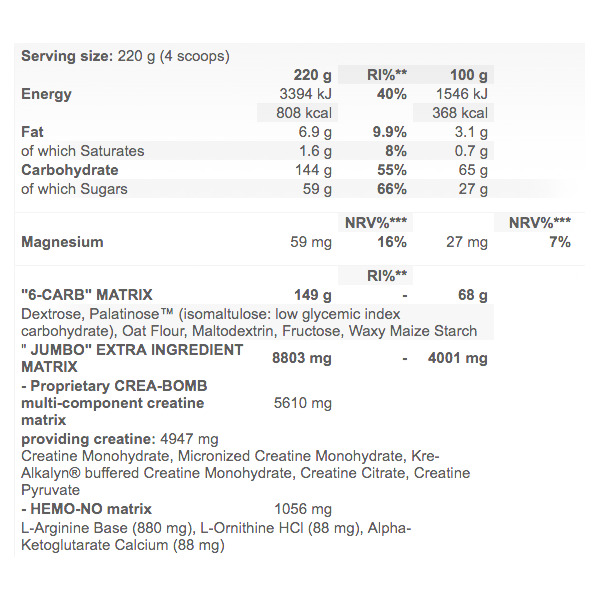 Therefore, JUMBO's protein contributes to the growth and maintenance of muscle mass. Whey protein from milk is a so-called complete protein, because it provides the body with all necessary amino acids, including the 9 amino acids (i.e. Histidine, Isoleucine, Leucine, Lysine, Methionine, Phenylalanine, Threonine, Tryptophan, Valine) that are considered essential for life, because the body cannot synthesize them. Determination of the nutritional efficiency of protein in the diet is in most cases based on estimating the extent to which dietary protein nitrogen is absorbed and retained by the body and is able to balance daily nitrogen losses. Mix 1 serving (220 g) in 400 ml water, milk or any other liquid per day. Best time to use is after workout.